I found the perfect matcha latte cups in Claska, Tokyo. 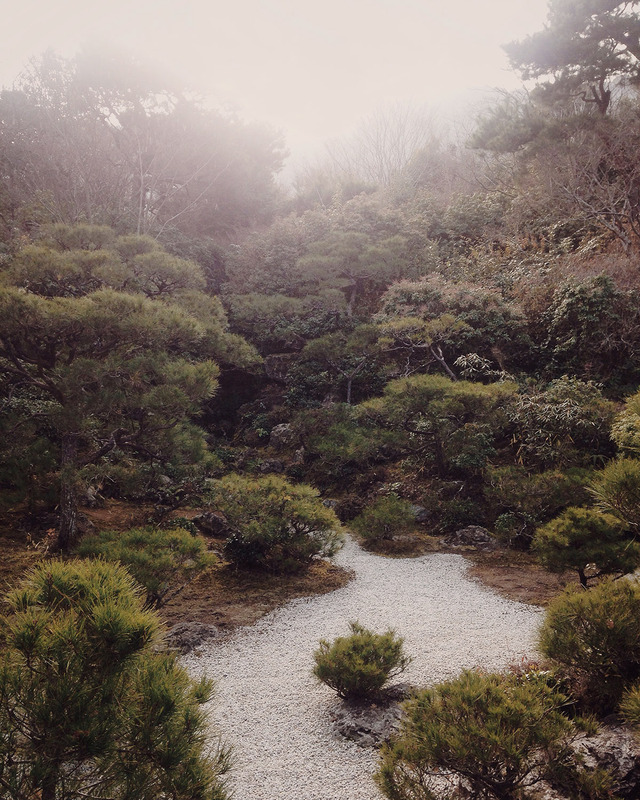 Zen garden in Kyoto, January 2016. Matcha is a finely ground powder of green tea. To create a pure and balanced taste, the tea plants for matcha are shade-grown for about three weeks before harvest, and the stems and veins are removed in processing. The traditional Japanese tea ceremony, also called the Way of Tea, centers on the preparation, serving, and drinking of matcha. It is in the context of these tea ceremonies, where the wabi-sabi philosophy also reached its most comprehensive realization in the 16th century Japan. Going far beyond just making and drinking tea, the ceremony is a formal ritual where the way of dressing, setting the table, arranging flowers as well as manners of moving, speaking and handling the tea utensils are all an essential part of the experience. The traditional matcha tea is made by mixing matcha powder to hot water with a bamboo whisk. A modern day matcha drink, matcha latte, is made with milk as the name suggests. It has a full body and a sweet taste not far from matcha ice cream. 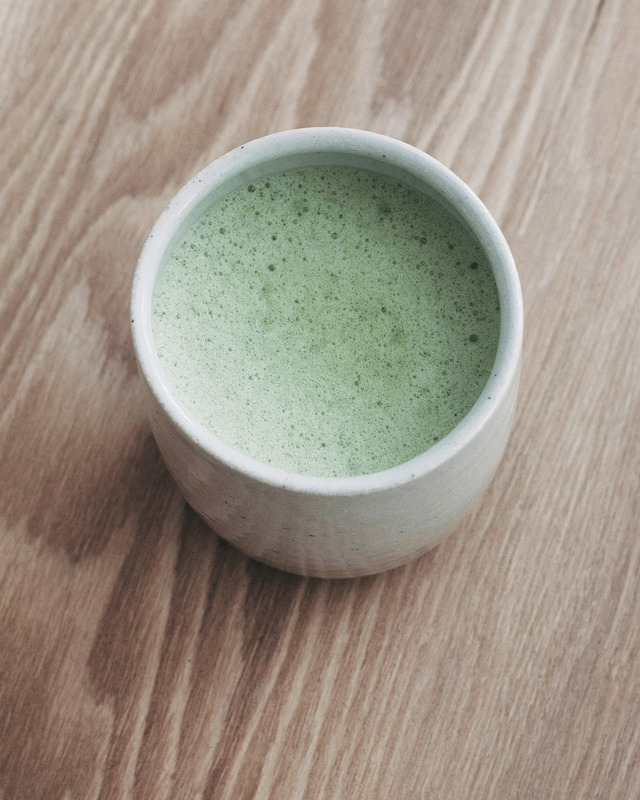 To prepare a cup of matcha latte at home, I mix one generous teaspoon of matcha powder and one and a half teaspoons of coconut palm sugar with a tiny amount of hot water to make a thick sauce. Then I pour the sauce with some two deciliters of whole milk into a milk frother that blends and warms them into a sweet and refreshing treat.